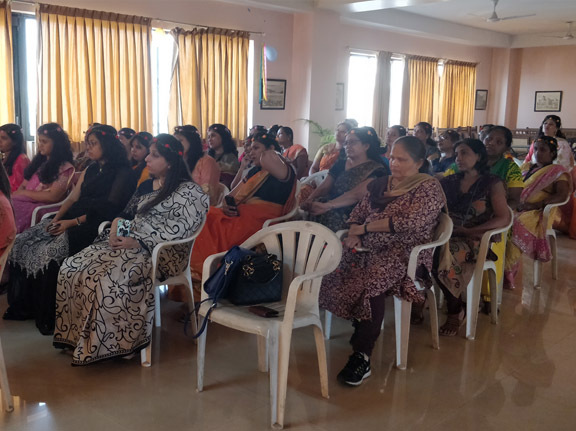 MARKING 8TH MARCH AS INTERNATIONAL WOMENS DAY, THE ENTIRE MONTH WAS CELEBRATED BY ORCHIDS BREAST HEALTH BY ORGANISING AWARENESS TALKS AND BREAST CHECK UPS. 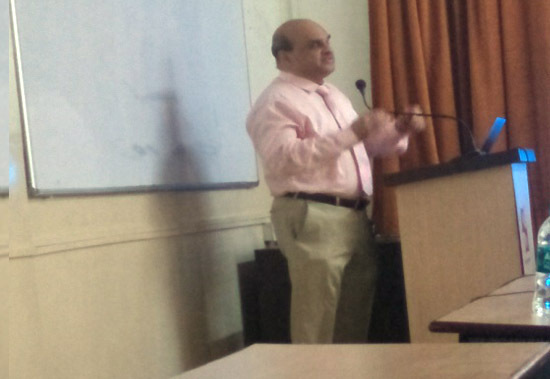 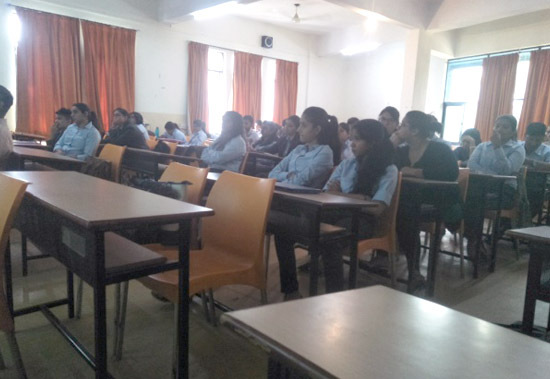 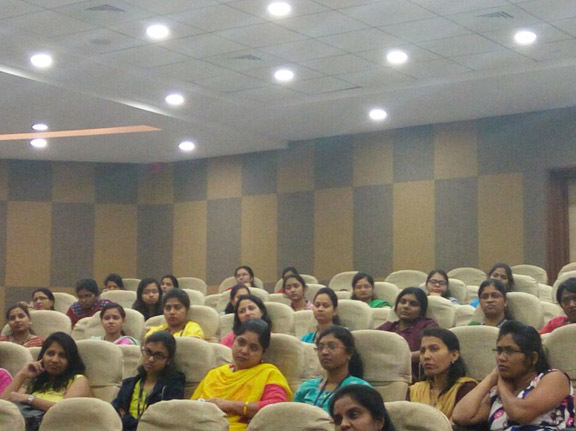 Dr. Koppiker gave a lecture to management students of symbiosis college, Pune on paradigm shift in the treatment of breast cancer. 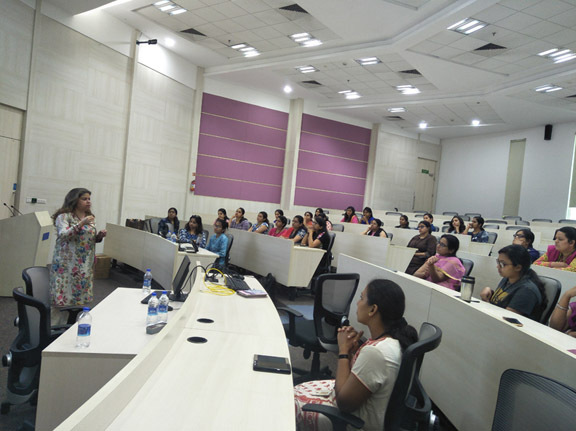 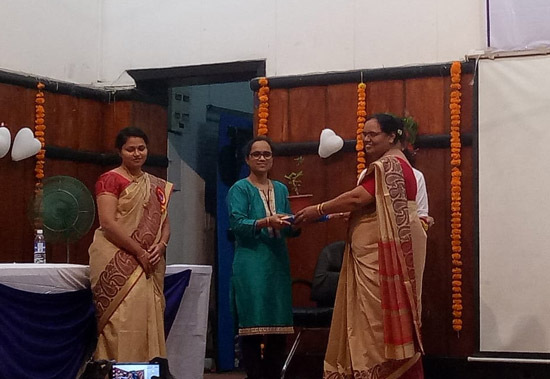 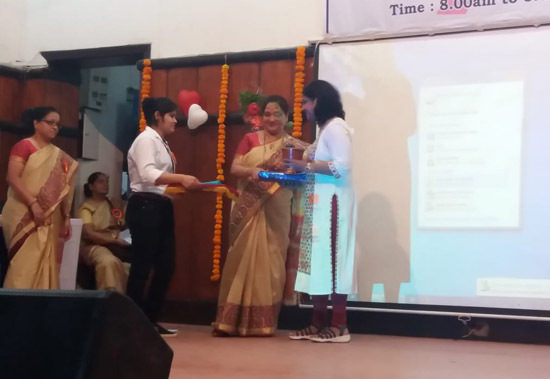 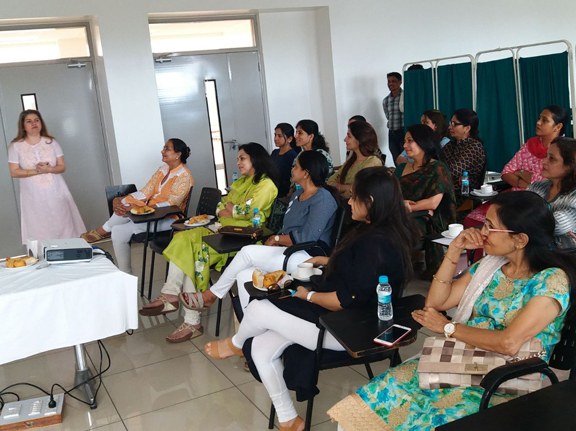 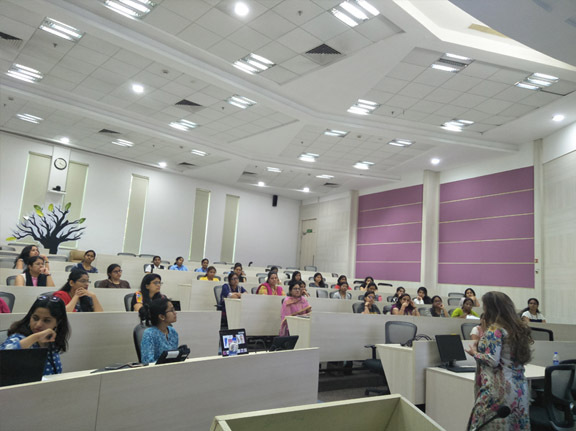 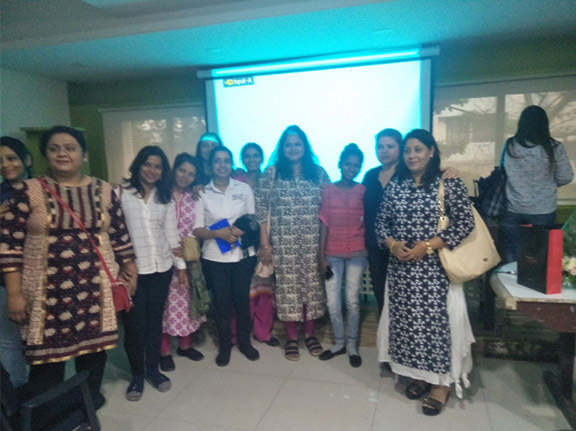 Smeeta nare (nurse) of orchids breast health clinic spoke on the gold standard of the treatment protocol for breast cancer at B.J.medical college, Pune. 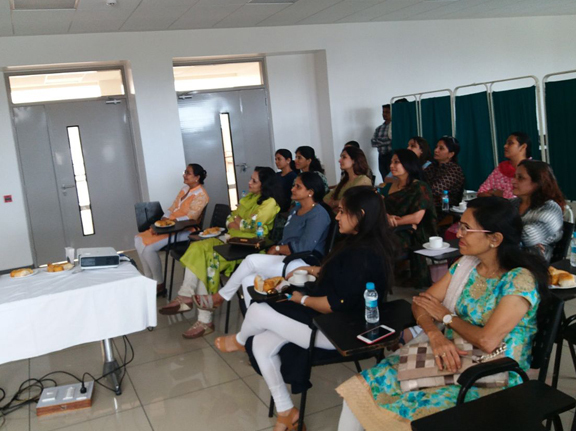 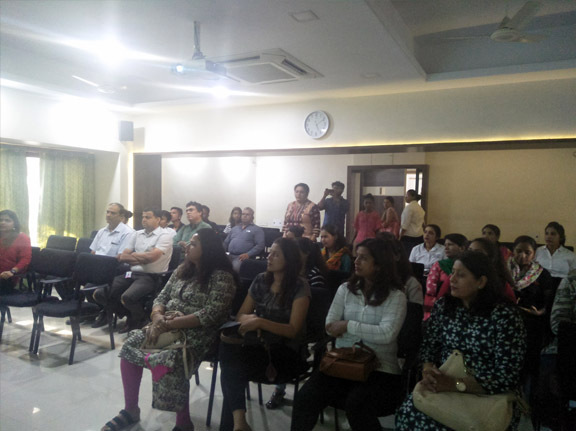 Ms.Laleh Busheri gave a lecture on signs symptoms prevention and treatment for breast cancer at Cybage, Pune. 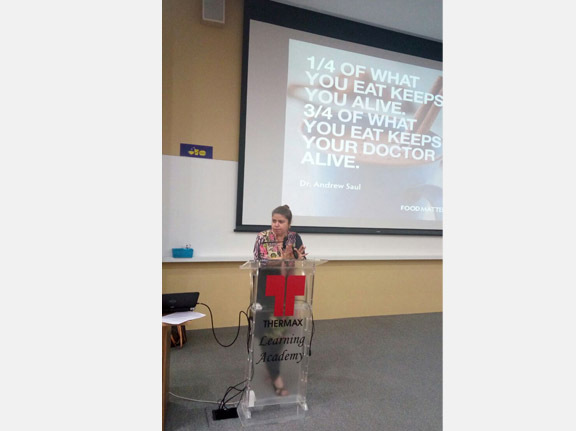 On the 10th and 11th of October we were able to sensitize over 300 and more individuals through awareness talk focusing on the risk factors, preventions methods for Breast Cancer . 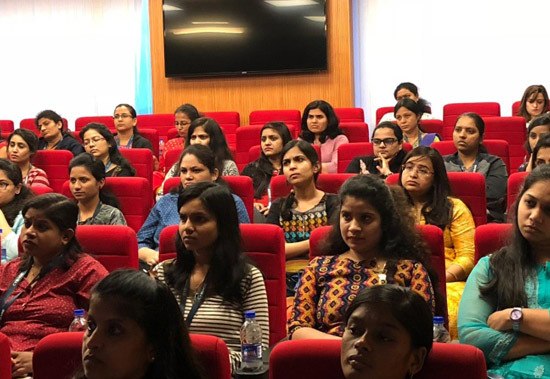 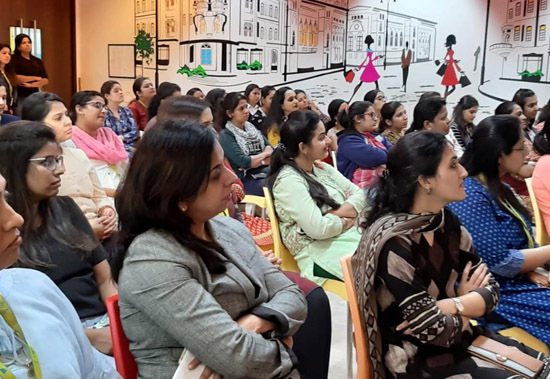 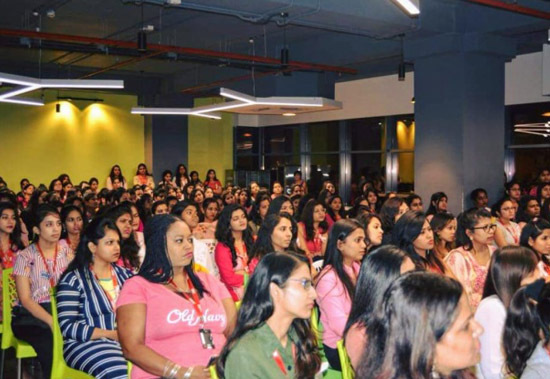 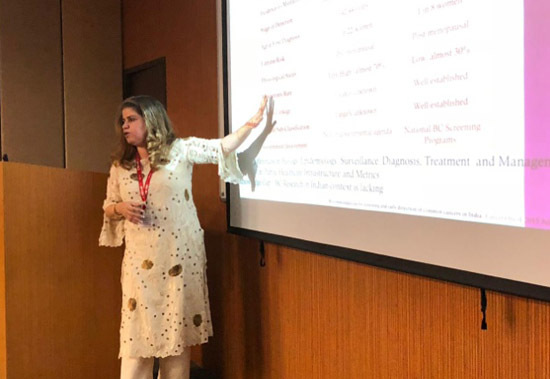 Ms.Laleh Busheri gave a lecture on signs symptoms prevention and treatment for breast cancer at Cigna TTK, Mumbai on 11th Dec 2018. .
Ms.Laleh Busheri conducted awareness talk on 6th April for all Divine Diva Club members. 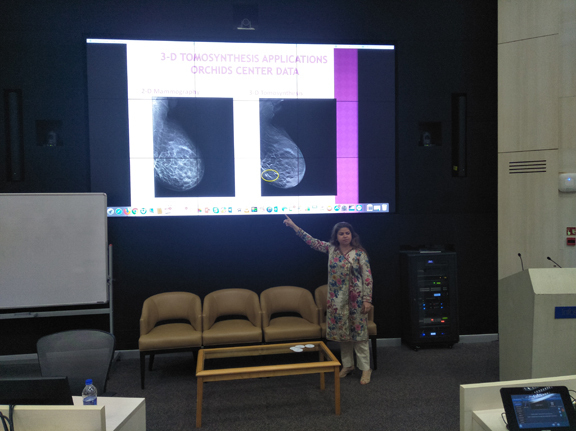 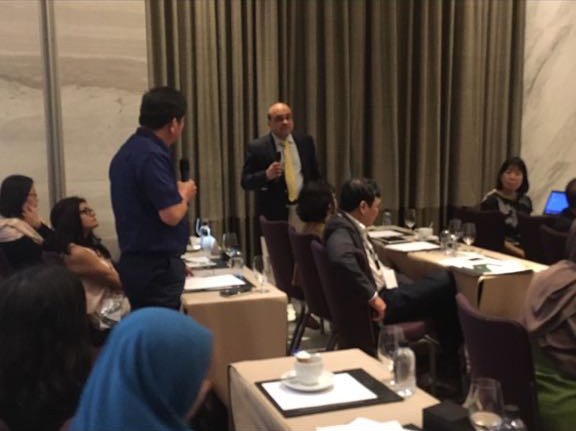 The session highlighted facts and busted some myths about breast cancer. 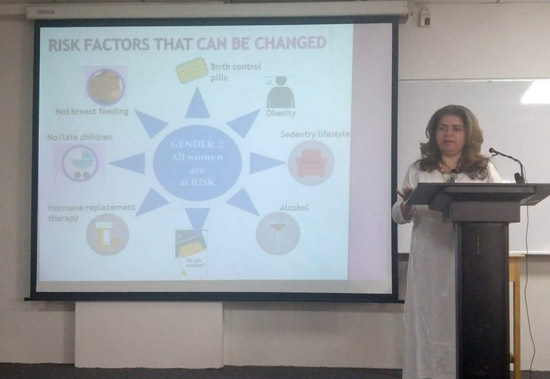 On the 13th March 2018 Ms Laleh Busheri delivered awareness talk at Thermax creating awareness of Breast Cancer early detection and diagnosis, preventive measures and healthy lifestyle. 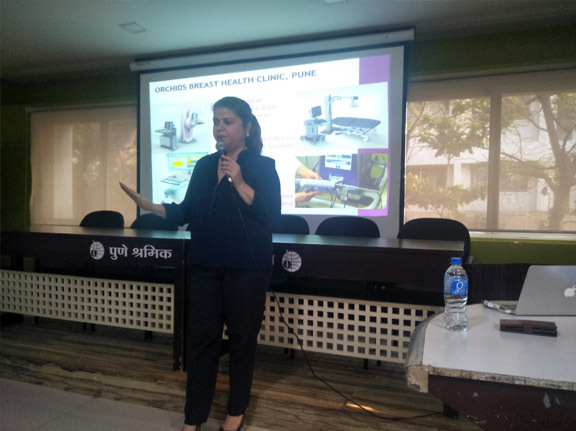 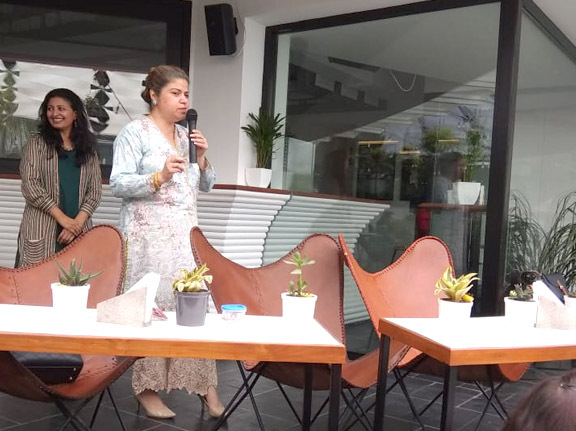 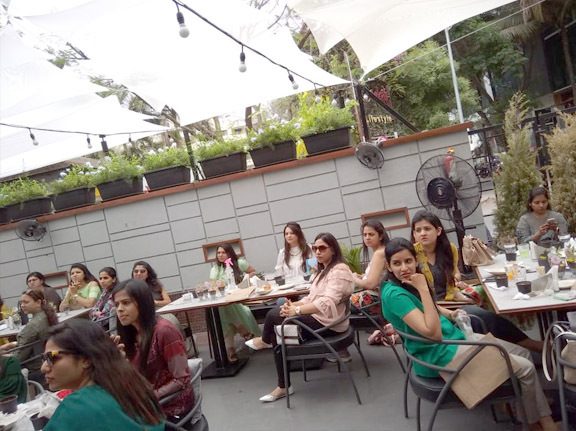 Ms. Laleh Busheri conducted awareness talk for employees of Apple Salon- Chain of Unisex Salon in Pune. 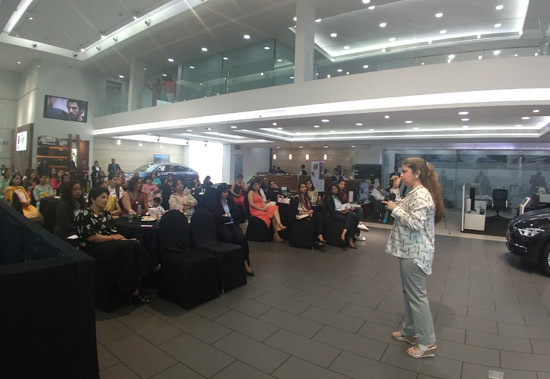 The event highlighted facts about breast cancer, & also Ms.Laleh also enlighted Men & women about prevention of breast cancer. 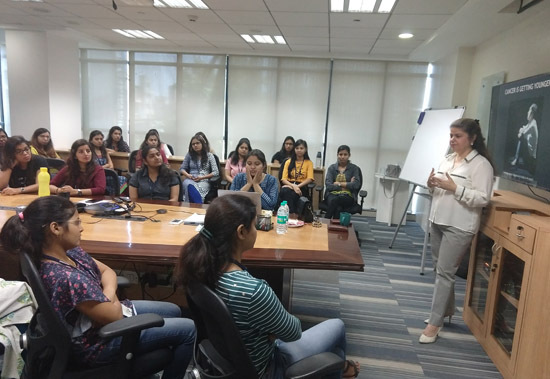 Ms. Laleh Busheri conducted awareness talk for employees Infosys phase-2 on 5th March 2018.. 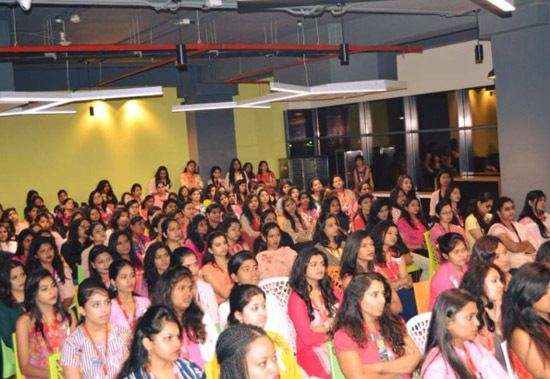 The event highlighted facts and busted some myths about breast cancer, it was well received by all the employees of the company. 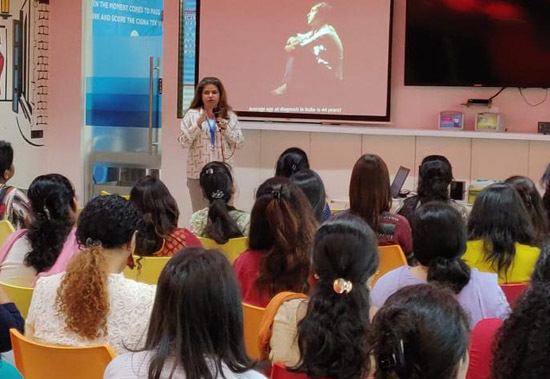 Ms. Laleh Busheri conducted awareness talk in Desai Brother's on the eve on Women's day. 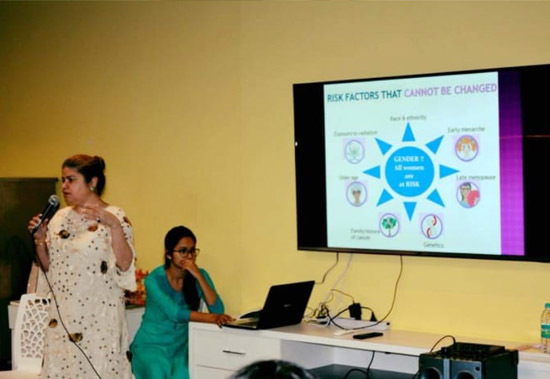 The event highlighted facts and myths about breast cancer. 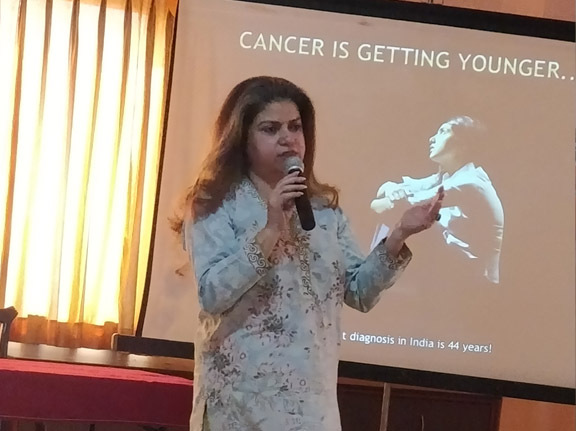 Awareness Talk at Sancheti Hospital, Pune was organised on 12th Feb 2018 for Prevention of Cancer in Women. 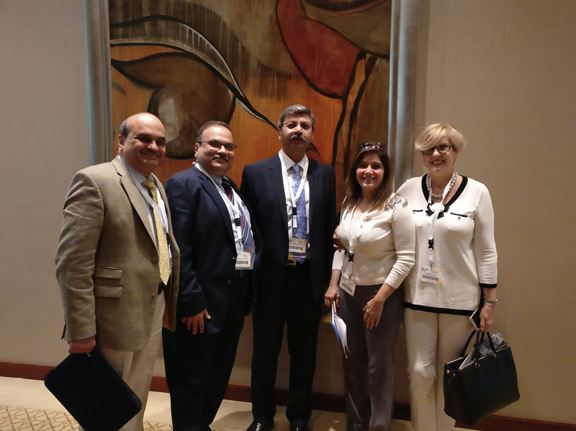 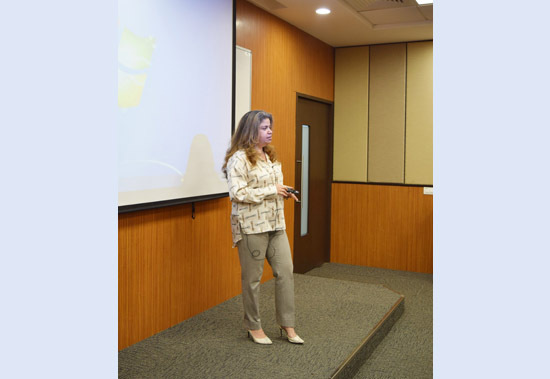 It was conducted by Ms. Laleh Busheri. 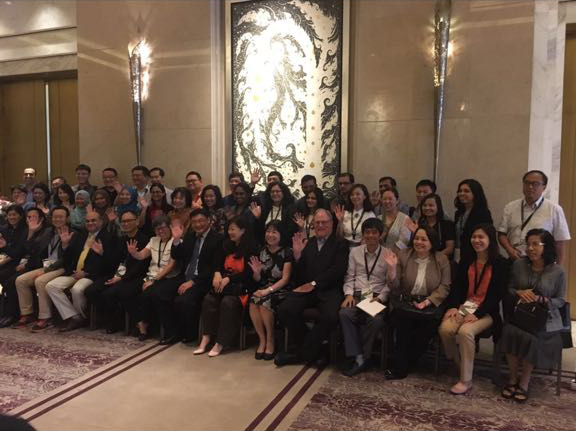 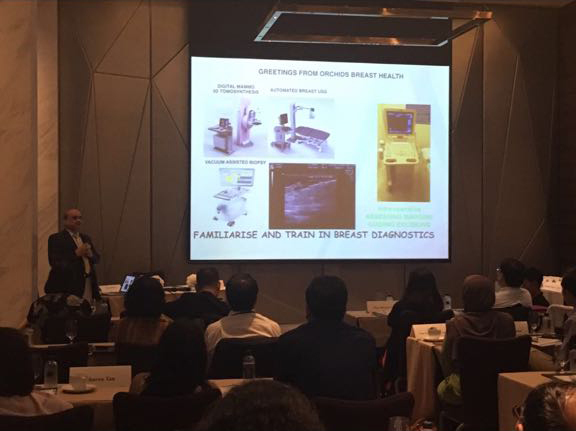 At the 'South-East Asia Pacific Meet for Biopsy Techniques in Breast Cancer', Dr. Koppiker spoke on 'Changing trends in Management of Breast Cancer' and discussed about the effectiveness of chemotherapy before surgery and Oncoplastic Breast Surgery in improving the management, survival and cosmetic outcomes of breast tumours.